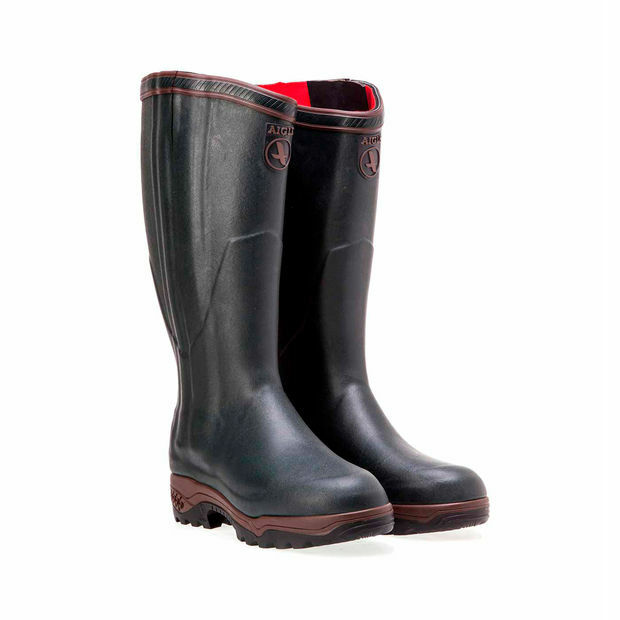 Neoprene Lined Wellington with zipped gusset calf adjustment & anti fatigue sole. 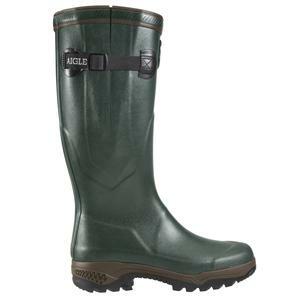 Master rubber craftsman since 1853, Aigle manufactures its boots by hand in France. Thanks to experience founded on tradition and technology, each day Aigle fulfils its promise of protection and comfort. For 160 years, men and women have maintained a valuable tradition of expertise. Today, at the Chatellerault plant in France, 200 craftsmen produce 4,000 pairs of hand-made boots every day. Gomma rubber makes the boot impervious rot due to cattle & horse urine which would otherwise breakdown the structure of the boot.